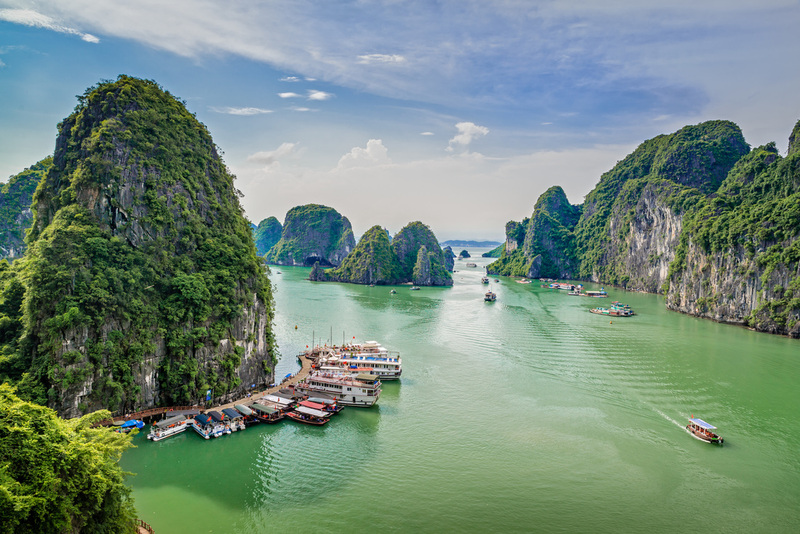 Forever remaining a bright green color, flowing quietly and absorbed with time, Halong Bay junk is beautiful within 4 seasons of a year. And, of course, March is not an exception. The beauty of Halong Bay in March is well worth your time! 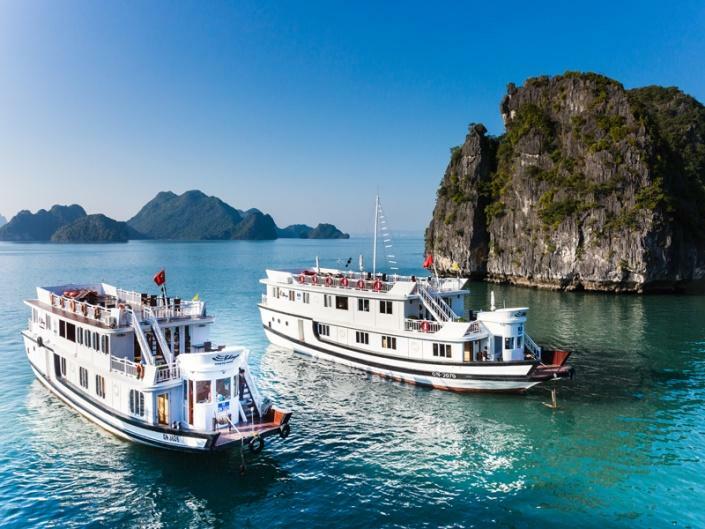 Nearly the end of the winter in Halong Bay, the month of March sees an average temperature of 20°C. You can experience days out sightseeing, exploring the island and any interesting outdoor activities thanks to the warm average temperatures. During the course of March, temperature may experience highs of up to 23°C and lows of 18°C which you will totally agree that it is not low at all. It is still warm enough for days out even if you do get caught on a low temperature day. As from the month before, the average temperatures start to raise, so does the average monthly rainfall that is 53mm falling over an average of around 2 weeks in March. During March, you will enjoy an average of 8 hours of sunshine a day which is the highest in the year along with December, November, June, May and April, which also have 8 hours of sunshine each day. With a full day of sunshine and the warming temperatures, you can definitely enjoy exploring this popular holiday destination but don’t forget to check the weather forecast for cloudy days. In March, the average sea temperature is a very warm 29°C which is the highest in the year along with January, February, December and April which also have a mean sea temperature of 29°C. It is such good news for those who love to swim in the sea when on holiday. At this very warm temperature, you will be able to enjoy hours of fun in the sea. 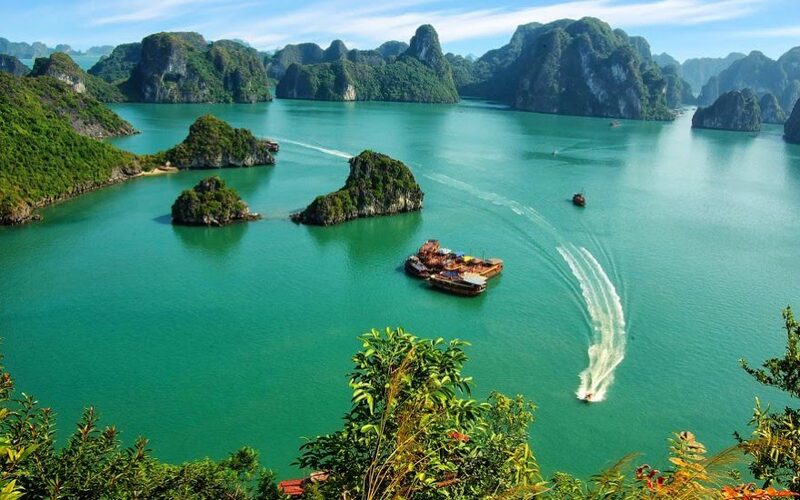 As it has many more hours of sunshine than neighboring holiday destinations such as Mai Chau which only has 3 hours of sunshine compared to the 8 in this charming bay, Halong Bay is popular at this time of year. 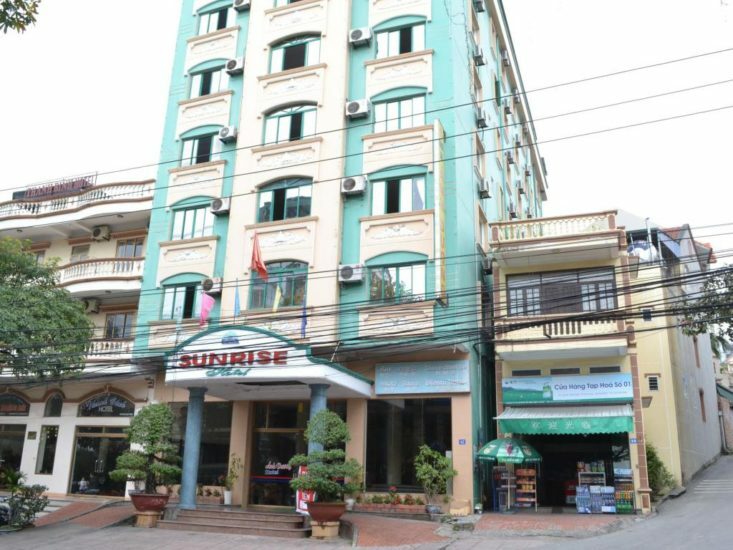 Sunrise Halong Hotel, a 3 star hotel located in Bai Chay, is highly recommended for those who want somewhere cheap and cheerful to stay. Having lovely huge rooms for comfort, with a choice of triple rooms, deluxe rooms and superior rooms, which all have air conditioning, seating area, satellite channels and Internet access, is mostly popular with couples. This hotel also offers other facilities such as a shared lounge area, a restaurant, relaxing massages and parking. Consider booking a stay at the Asean Halong Hotel – a 4 star hotel located in Bai Chay if luxury is more your style. This lovely friendly hotel, with 101 rooms available including family rooms, deluxe rooms, superior rooms and suites which all have air conditioning, satellite TV, a balcony with a view and a minibar, is a perfect hotel choice for couples. This hotel also offers interesting activities for you to enjoy such as: bicycle rental, karaoke, a sauna and fitness center. Head over to the Bai Chay Commercial Center which is a shopping mall located in, you guessed it… Bai Chay if you get caught on a cloudy day and love to go shopping. This commercial is always busy as it is the biggest and most modern shopping mall in Halong area. Here, tourists will be able to buy souvenirs for themselves, gifts for their friends and family as well as restaurants if they are feeling peckish after all these shoppings. If the weather is not good enough for a day out, this is such a great way to spend a day. 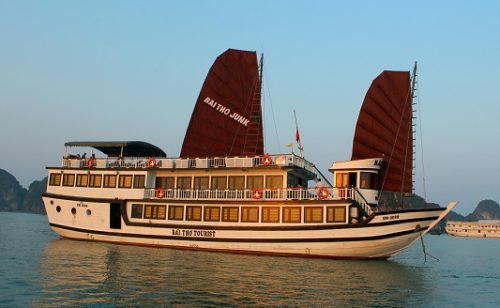 It is absolutely well worth booking a short 3-day-2-night or 2-day-1-night stay on one of many the Halong Bay Cruises which is a boat tour of the Halong Bay area if the weather is good. Truly an experience of a lifetime that you will never forget. You will have tour guides who are very helpful and friendly tell you everything about this awesome destination. 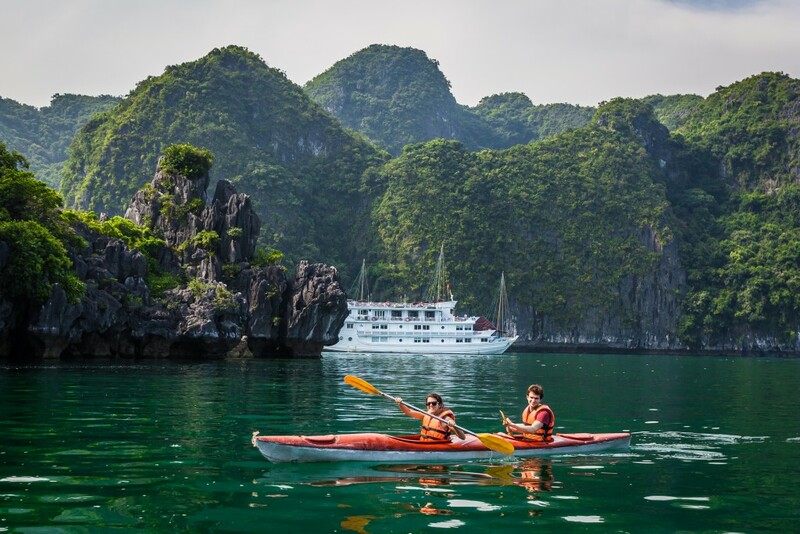 While being on the cruise, you will also be able to enjoy mouthwatering meals and fun activities such as canoeing and kayaking. 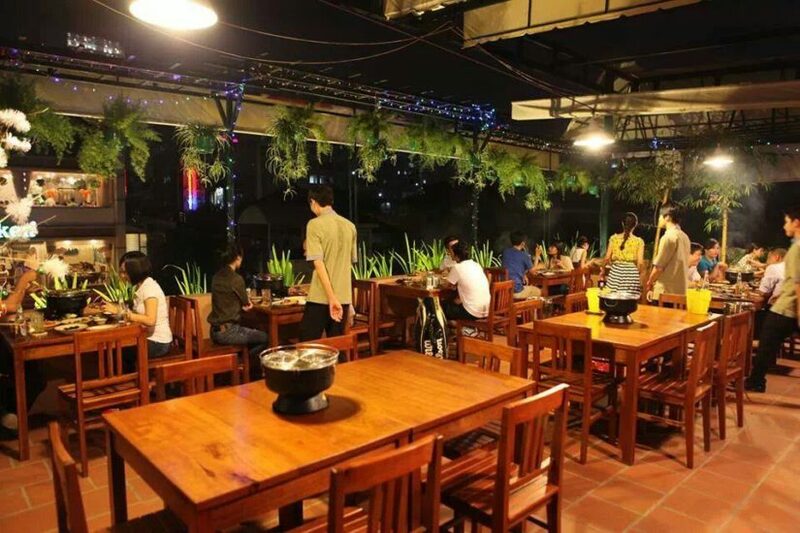 Look no farther than the Hoa San Ho Restaurant which is a Vietnamese and seafood restaurant situated in the Bai Chay area if it is seafood you are after. The menu here includes steamed goby grouper, lobster dishes, unique roasted tortoise and delicious roasted crayfish, plus many more to choose from. Besides a beautiful modern interior, it also has the traditional Vietnamese style.